Functional programming is a foreign concept to many software developers. Sure, they may have heard of functional programming before, maybe even seen a language or two, but imperative programming is still their bread and butter. In this day and age, a purely functional language is only useful for heating your computer (for most purposes), but knowing functional programming concepts can be immensely beneficial. You may have heard of some of these terms before: stateless programming, pure functions, memoization, recursion and immutable data. All of these terms are features that are native to functional programming, but make their way into other languages. Some of these, like recursion, are things we take for granted. Since these are core concepts to functional programming, I’ll briefly describe each one and why they matter. Stateless programming means that there is no external state governing the execution of the program. There is no state machine or, “If today is a weekday then perform a backup,” which highlights a fundamental feature of functional programming: pure functions. A pure function is a function with no side effects. If the same function runs with the same input, it will always give the same output. As you can imagine this would be quite dreamy for a programmer (especially to anyone working with non-deterministic programs). Not only that, it is a critical concept for functional programming because it allows for the compiler to work behind the scenes and optimize the program. Having no side effects introduces the concept of referential transparency which means that an argument can be replaced by its value and still output the same result. For example, if x = 3 then calling the function factorial x would be equivalent to factorial 3. You may think this is obvious or wondering why I care to mention it but there are several reasons. The first goes hand in hand with the no side effects argument. In other languages passing a variable as an argument can change it’s value (passing by reference). In a pure language, there are no side effects so passing a variable as an argument will never cause changes (desired or not) to the said variable. (Another reason that the variable won’t change is because the data is immutable, but that will be explained later). The second reason you should care is because of memoization. “Are you saying that my program is going to send memos for me?” No, but it’ll do something better. Memoization is function caching and it can drastically improve performance. If the program is making a lot of repetitive calls to a function with the same inputs (Calculating a factorial for example), then a memoized function will remember the output of the last time it calculated the result and instantly use that. Instead of calculating factorial 3 for the 20th time, it will just grab the result from the last time factorial 3 was called and there will be no concern that something will go wrong. As you can imagine, memoization can lead to exponential improvement in recursive functions. If you have experience with coding you may have heard of recursion. Recursion is not native to functional programming so why do I mention it? Well for one, to be a functional language you have to be able to support recursion. Also, functional programs can implement incredibly efficient recursion. I touched on this before, but now I’ll give some context. Functional languages must support pure functions meaning the compiler knows that when it calls a function, there will be no side effects. This lets the compiler know it can rearrange and change the execution of the code in certain ways to maximize efficiency without compromising the result. More experienced developers might be thinking, “Wow, this sounds great for parallel programming,” and it is! The exact minutia of how the compiler accomplishes this is beyond the scope of this post, but rest assured your functional compiler is working hard for you behind the scenes. Another thing to keep in mind is that all data in functional languages is immutable. Immutable data simply means once a variable is instantiated, its value can never be changed. Functional programs “mimic” mutable data by mapping a function onto an immutable data structure and returning a new data structure as a result. Once a variable has been set, that value will never change. So why have immutable data? Because it is invaluable to multithreading by making thread safe data. By now you might be thinking, “Wow, it sure seems like functional programming is great for making intensive mathematical calculations,” and you would be exactly right. 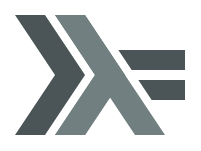 Functional programming has its roots in lambda calculus and is designed to handle massive calculations efficiently. While many programmers never use a functional language in their day to day life, knowing about its features and when you can use them should be in every programmer’s toolkit. It is worth a quick Google search to see if your predominant language supports functional features. This blog provides a glimpse of what functional programming does and should give you some context on how they are beneficial. Get those creative juices flowing and see how you can use those features in your day to day programming! Henry Dau is a software developer at Woodridge Software, a custom software development firm located near Denver, Colorado. Woodridge specializes in Web, Android and iOS development and works with a variety of clients ranging from startups to Fortune 500 companies.